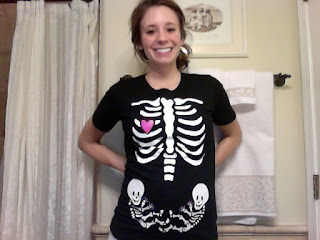 This is seriously the coolest and cutest Halloween shirt you will ever see. I am in love with it! haha that is awesome! Did someone make that for you? No i ordered it online! I have seen these before but not with 2 love it! So cute!